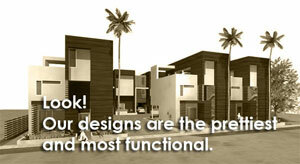 Modative is a modern architecture firm in Los Angeles. Like many architects, we pride ourselves on providing our clients with great design. Now, we could go on and on about what great designers we are, and how our creativity reigns supreme, but we'd rather take a look at what really sets us apart. The root cause of these unpleasant issues is typically traditional delivery methods of design and construction that have plagued the building industry for decades. Fortunately, here at Modative we've adopted innovative processes that drastically reduce the chances of encountering these unpleasant scenarios. Our integrated project delivery system improves upon the four key elements of every project: communication, cost, schedule and quality. To learn more, please select the project type that interests you.